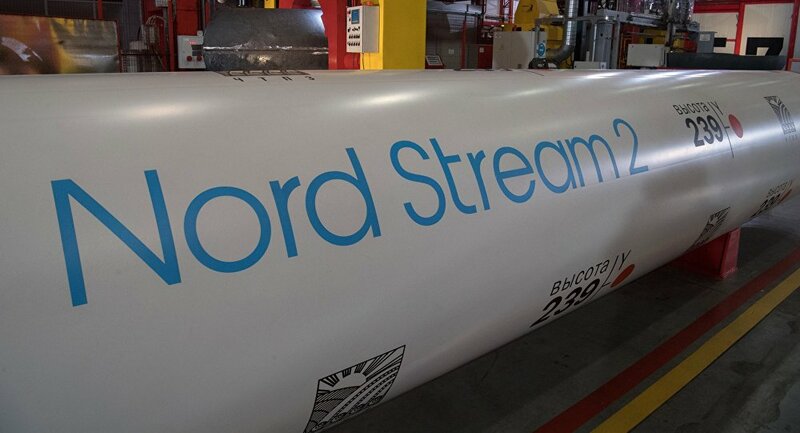 "Nord Stream 2 represents a treacherous path between Scylla and Charybdis for many companies who fear potential US sanctions, but simultaneously, do not seek to risk the development of such a significant business opportunity," Justin Dargin, a global energy scholar at the University of Oxford, told Sputnik. "Yet, the threat of sanctions is still a major deterrent for European companies as continued access to the US dollar and American financial institutions is still a serious concern for them". On 13 January, Bild am Sonntag, Germany's largest-selling national Sunday newspaper, reported that German companies involved in the Nord Stream 2 project received letters from US Ambassador Richard Grenell warning them about "a significant risk of sanctions" should they proceed with the endeavour. Earlier, The Handelsblatt newspaper noted that the German leadership is concerned about Washington's threats to impose sanctions on European construction companies over Nord Stream 2. The White House has repeatedly threatened to go nuclear on the project under the Countering America's Adversaries Through Sanctions Act (CAATSA) that was signed into law by President Trump on 2 August 2017. "Since its gestation, the Nord Stream 2 pipeline project has generated an inordinate amount of geopolitical wrangling," Dargin underscored, commenting on the issue. "Indeed, in this modern drama, it is exceedingly difficult to unweave the political strands from this economic web as every major Western participant has clear financial and political incentives. And, undeniably, the multiple, often antagonistic, European positions illustrate quite starkly that Europe is still far from developing an adequate response to the query attributed to the former US Secretary of State, Henry Kissinger, when he mused, 'Who do I call when I want to call Europe?'" The scholar pointed out that each state had its own motivation in the prolonged conflict over the pipeline. "Poland feels that the pipeline furthers monopolistic tendencies" while "Ukraine reasons that Nord Stream 2 would reduce its importance as a key transit country for Russian gas to Europe". On the other side is Germany that supports the project. And somewhat in the middle is Denmark that "displays an ambivalence which borders on antipathy," he elaborated. "Due to Denmark's resistance, predicated on security and environmental factors, the Nord Stream 2 consortium indicated in August 2018 that it would attempt to carve out an alternative pipeline route that would bypass Danish maritime boundaries," Dargin pointed out, adding that "at the moment, the consortium is not withdrawing its application for the Danish permit until a firm decision is handed down from the Danish authorities". Meanwhile, Sweden, Finland and Germany have already "approved permits for the pipeline's operation in their respective exclusive economic zones", he remarked. According to the energy expert, Berlin's motivation is more than clear: First, Nord Stream 2 would let it "diversify its energy portfolio as it decommissions coal and nuclear plants"; second, "the pipeline could potentially allow Germany to become an energy hub for Western Europe". In response to Donald Trump's accusations of being a "captive" of Moscow, Berlin says that Russian energy exports to Europe started as early as 1973, during the Cold War, Dargin noted, adding that "as a historic concession, Chancellor [Angela] Merkel offered government support for US LNG imports", even though it is likely to be more expensive than Russian pipeline gas. "It is still unclear whether the threatened sanctions from the US will materialise, and if they ultimately do, what would be the European response", the scholar opined. "Western European countries, due to the confluence of other geopolitical events, such as the resumption of sanctions against Iran, the Trump Administration's endorsement of Britain's withdrawal from the European Union, and what they perceive as American 'unilateralist tendencies', are not inclined to quickly accede to Washington's wishes." Dargin underscored that the resumption of US sanctions against Iran had triggered the EU's attempt "to remove itself from the US-led global financial architecture to insulate its companies from the negative economic impact of running afoul of US law". According to the scholar, "a strengthening of this tendency of Europe to divorce itself from American economic influence would likely result if the US ultimately applies sanctions against companies associated with Nord Stream 2". And, consequently, the political chasm between Washington and Brussels will only deepen." "It still remains seen what will be the final outcome of these manoeuvres, but, suffice it to say, nearly three decades after the formation of the European Union proper, a common policy in forging an energy policy is still quite distant," Dargin opined. "So, in reply to Kissenger's question, the call is on hold". All Eyes on Germany and France: Will They Fight Back US Sanctions? For his part, Italian journalist and writer Sergio Matalucci believes that it "does not make sense to speak about US pressures on the EU, as Washington is just eyeing a handful of European companies involved in the project". Still, he admitted that "the decision is extremely political in nature". "Eventual US sanctions against the pipeline would be mainly difficult to digest in Berlin and Paris," he said. "We have to keep in mind that Nord Stream 2 signed financing agreements with, among the others, France's Engie, Uniper and Wintershall, which are both German companies." 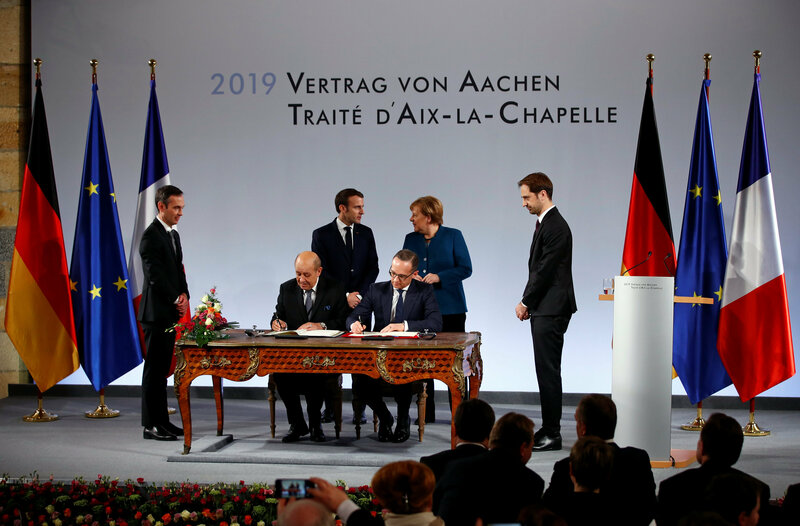 The journalist referred to the Franco-German Aachen Treaty signed on 22 January, suggesting that "it is quite clear that the Elysee is ready to coordinate its energy policies with the German government". "In the final text signed this week by Merkel and Macron, this reference is not as strong, but it is still there. This is a message, a political one, despite not referring directly to gas," he emphasised. "The strong stance of the two countries seemed to have reassured the markets for now. Uniper's shares closed today at a very high level. But the situation remains critical; it is still extremely difficult to read." According to Matalucci, Washington has a good reason to exert pressure on Europe: "There are plenty of US LNG projects whose future depends somehow on the European markets". However, from a political perspective, everything depends "on the reactions of the governments involved", he added. The Italian journalist suggested that "apart from Germany and France, Austria might be a key player, as OMV signed a financing agreement with Nord Stream 2 AG", presuming that "the list of sanctioned companies might be longer" and includes Italy's Saipem and Switzerland's Allseas. Still, all eyes are now on Berlin and Paris, he reiterated. "How could they fight back US sanctions? Could Nord Stream 2 be the first joint battle after the Treaty signed this week in Aachen? Would they be willing to do so? How could they be able to coordinate with other EU member states? Those are questions impossible to answer for now. But it is clear that EU diplomacy and discussions in Brussels would influence the position of Paris and Berlin," Matalucci stressed. Having said that the situation remains ambiguous, the journalist highlighted that "eventual sanctions would be another risk factor, globally and especially for US-EU relations". "Washington's aggressive stance would for sure change the situation, but it is impossible for now to say how," he warned. Nord Stream 2, an offshore natural gas pipeline and extension of the existing Nord Stream route, will increase the overall annual capacity of Russian energy supplies to Europe to 110 billion cubic metres (3.9 trillion cubic feet). The pipeline will stretch across the Baltic Sea, connecting Russia's coastal Ust-Luga area with the Greifswald area in Germany. The project was conceived in October 2012, while in April 2017, Nord Stream 2 AG, the project's operator, signed financing agreements with major European energy companies, namely Engie, OMV, Royal Dutch Shell, Uniper, and Wintershall. The endeavour was repeatedly criticised by the Obama administration, and Donald Trump has stepped up pressure on Nord Stream 2 following the signing of the CAATSA in August 2017. On multiple occasions, Trump lambasted Germany for pushing ahead with the project while White House officials hinted that Washington may target European companies involved in the endeavour. The latest letters by Ambassador Grenell caused a wave of criticism from European companies, with Austrian OMV branding them an "unacceptable threat". For his part, in an interview with the German outlet Rheinische Post, Grenell argued that he was just defending his homeland's interests and that his letters' wording did not differ from what Washington publicly states.